Learn the essentials of database migration and simplify your path to the cloud—while minimizing risk and disruption to your business. 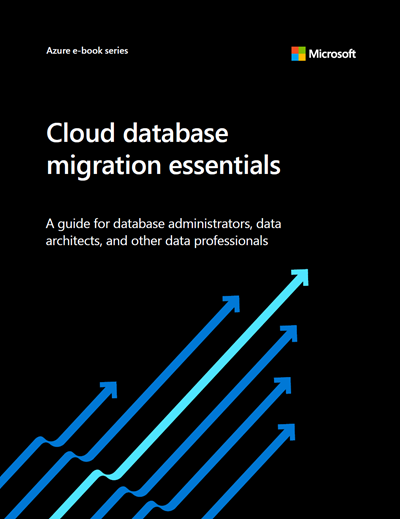 Get started with a plan for greater scalability, cost savings, and improved performance in the cloud with the e-book, Cloud Database Migration Essentials. Make a strong plan for your cloud migration with preliminary actions and considerations for database administrators. Approach rehosting, refactoring, rearchitecting, and rebuilding your workloads for the cloud. Find the right tools and resources to make a faster, friction-free migration project. Plan for post-migration success with processes for assessment, optimization, security, and management.